“We don’t limit your drinking time here. You can start drinking unlimited wine, beer, or whiskey as early as 11 a.m. and finish at 2 a.m.,” says Jhiehan Lim, one of the owners of En Tirage, a watering hole in Mandala Park, Mandaluyong. While this may seem a tad too early for some people. Lim says this simply because she knows too well the joy of getting together over a few drinks. After all, Lim, along with four other friends, opened En Tirage out of their love for good food, good drinks, and good company. “Since we love food and drinks, we thought to ourselves, why don’t we translate these interests into a business?” shares Angelo Rivera, one of the four owners. After collecting their resources together and gauging the costs, they came up with the concept that would fit their ideas and means: a bar that serves unlimited wine. 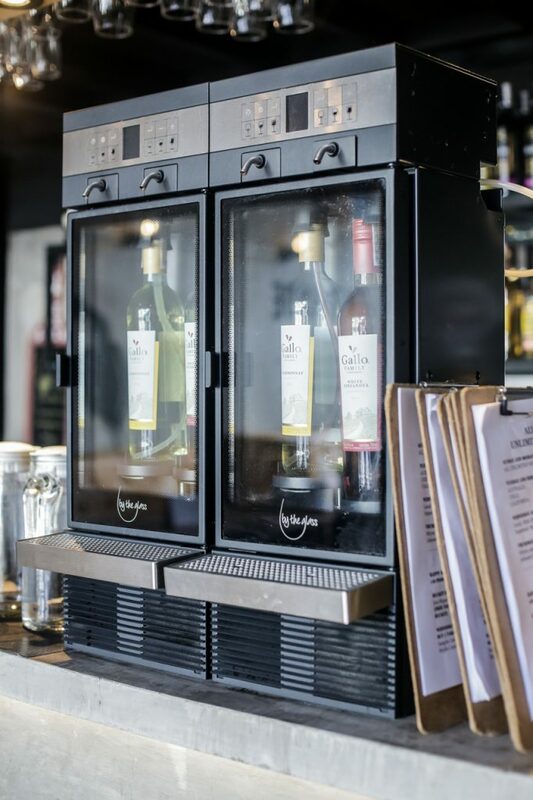 Drinking wine has never been this convenient. At En Tirage, it’s like getting a 7-Eleven Gulp, but you fill your glass with wine. Not long after En Tirage opened in January this year, they started offering unlimited beer and whiskey, too, as they saw that the unlimited promos work. They’ve worked out a schedule to accommodate, uhh, bar habitués. Sunday and Monday: Unlimited wine, beer, and whiskey. They have Australia, Chile, and California wines. For beers, they have the good ol’ San Miguel Beer and Stella Artois, and for the whiskeys, Johnnie Walker Black Label and Whyte and Mackay. You know about this drinking rule: Fill up on food before filling up on alcohol. This New York Times article said, “Drinking on an empty stomach makes you drunk faster.” You don’t want to get drunk immediately when you’ve availed of their unlimited promo. In this case, try their food for pulutan. Paella Valenciana is their best-seller. As they cook it by request, expect to arrive it on your table steaming and fresh. The paella gets its flavor from the saffron seafood stock they cook the rice in and tomato-based sauce. 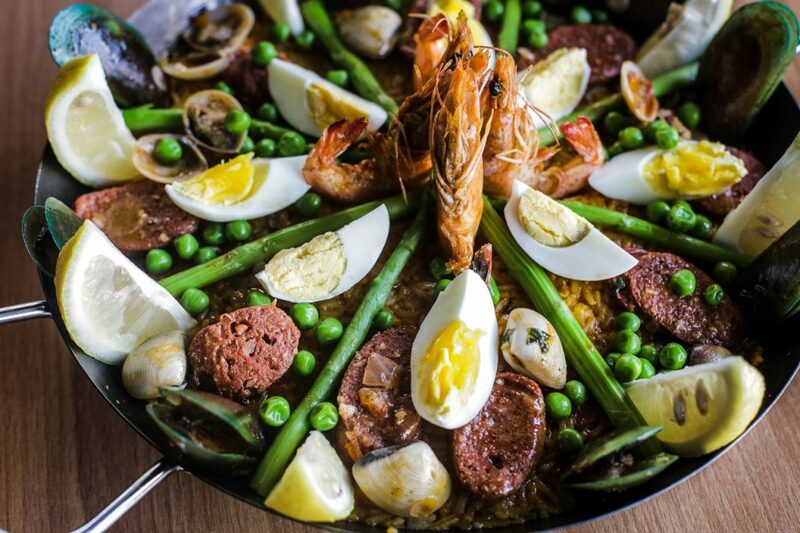 The rice is generously topped with hard-boiled eggs, slices of chorizo, mussels, shrimps, and some greens. Because nobody likes soggy nachos, they serve their tortilla chips and dip separately. 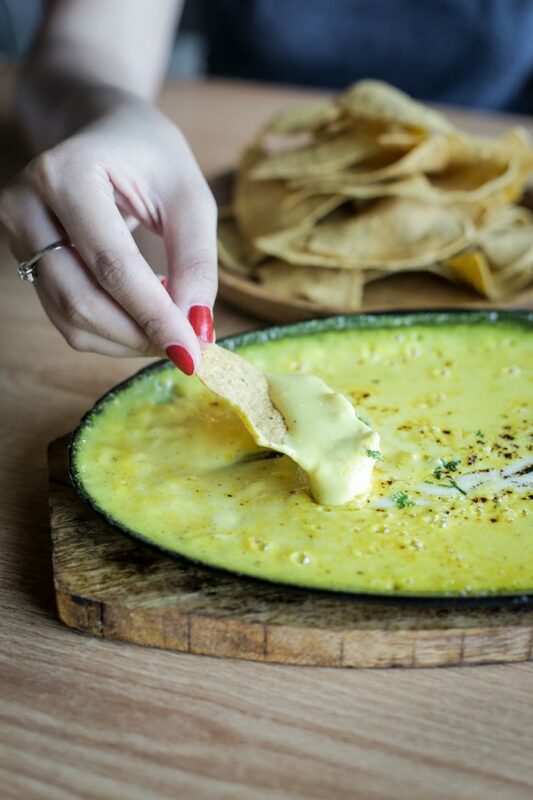 This is their nachos and sizzling cheese dip, cheese sauce with cheddar and mozzarella. 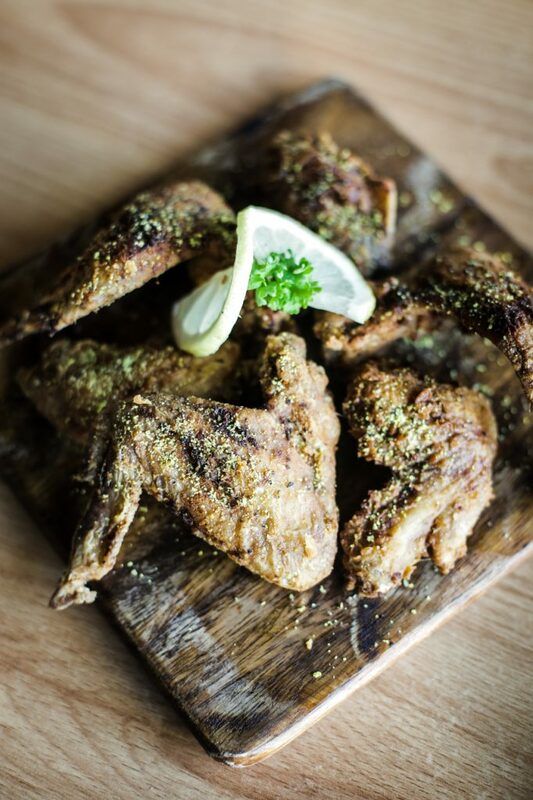 Pair this flavorful lemon pepper chicken wings with beer. If you’re not in the mood for free-flowing drinks, they have worthwhile happy hour promos (P40 for a bottle of beer!) and ladies’ night specials. Go for their affordable unlimited promos and make sure to drop by during happy hour, when beer is only P40 a bottle.